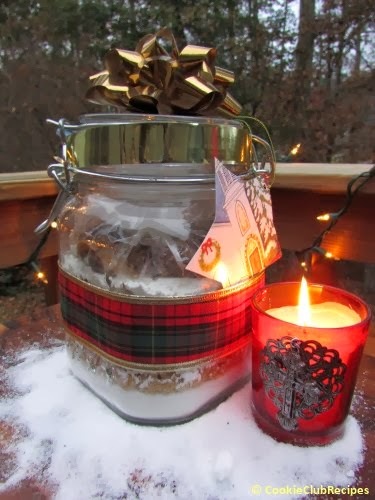 Reese's ® Peanut Butter Cup "Cookie Mix in a Jar"
If you've always wanted to make these sweet jar gifts for Christmas but didn't know how, here are step by step directions for how to make "cookie mix in a jar" gifts! 's Who wouldn't LOVE to be on the receiving end of this gift?! 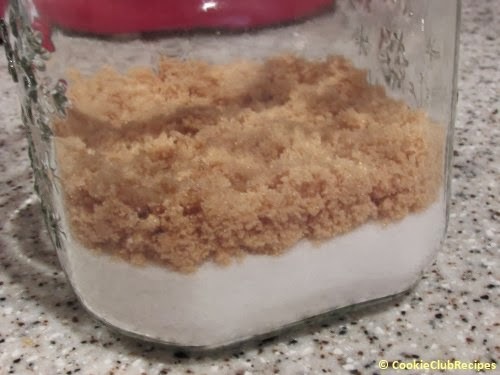 Place white sugar in jar. Next is the brown sugar, measure and then fluff with fork as you add this layer so it won't be in one clump. Press down slightly. 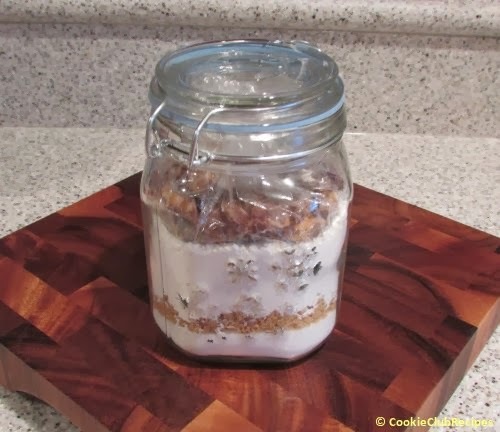 Mix flour, baking powder and soda together, then add to jar using a large spoon or small measuring cup. The 1/4 measure is perfect for filling the jar. 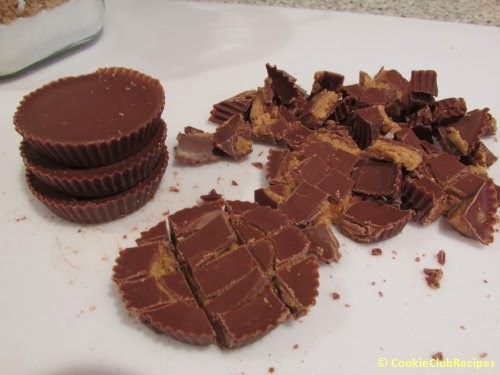 If you have not done so already, cut peanut butter cups into small pieces. 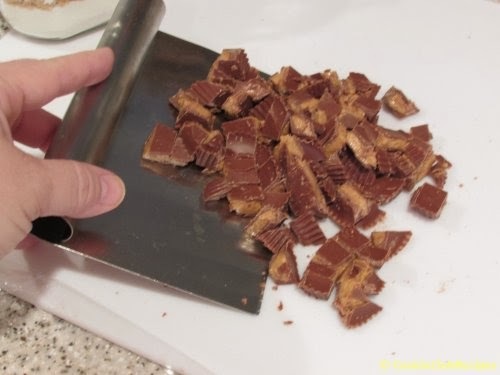 If candy pieces are sticky use a pastry scraper or spatula to pick them up. 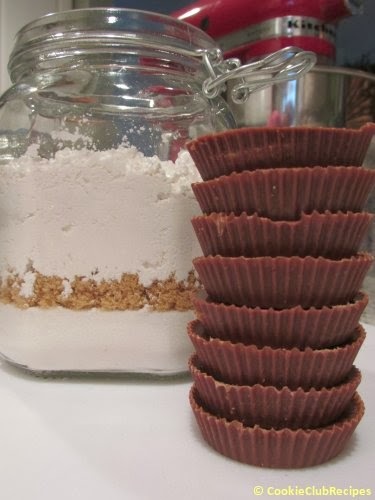 Now place the wrapped peanut butter cup pieces on top and don't worry about keeping the plastic wrap closed. Bunch it up at the top and it will stay together when you place the lid on. Directions: Remove candy and set aside. Empty cookie mix into large mixing bowl, stir to combine. Add 3/4 cup softened butter, 2 eggs slightly beaten, and 1 tsp. vanilla. Mix until completely blended. Stir in candy pieces. 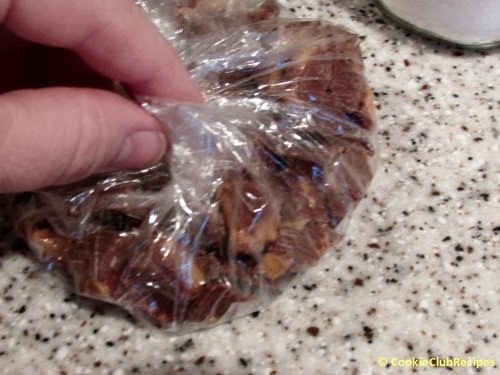 Drop dough by teaspoonfuls 2 inches apart on a lightly greased baking sheet. Bake at 375 degrees for 10-12 minutes or until edges are lightly browned. Cool 2 minutes on baking sheet then cool on wire racks. Enjoy! 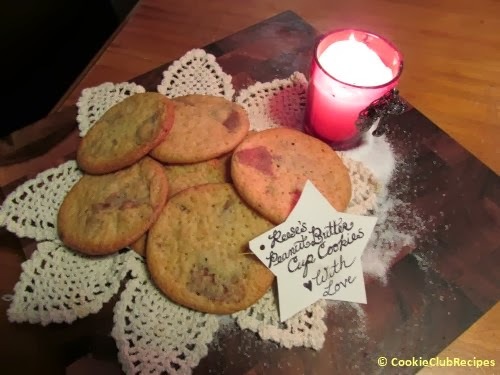 And of course, after making this Cookie Mix in a Jar Gift to share with you, we just HAD to go ahead and bake the cookies too!